Penn State jumped back into the AVCA Top 5, climbing five spots to No. 4 after topping No. 17 Purdue and No. 5 Nebraska. 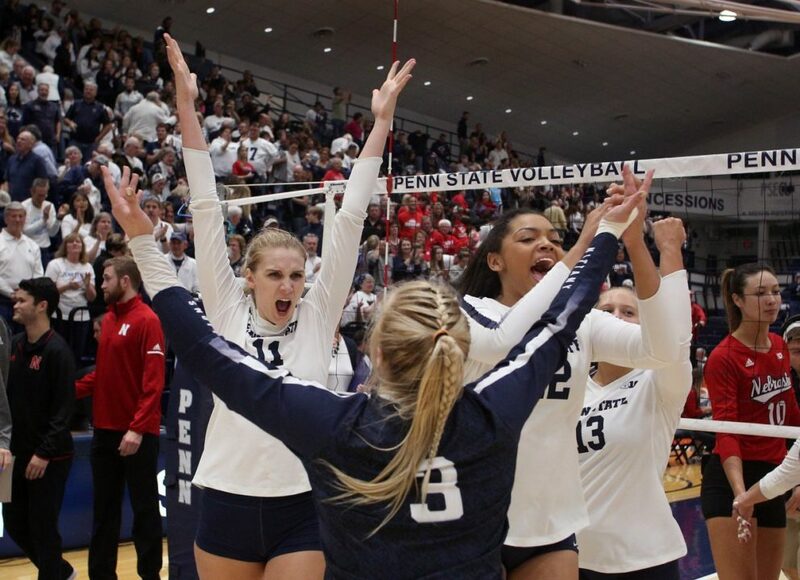 The five-set win over Nebraska on Saturday marked the Nittany Lions’ first over the Huskers since 2014. An upset in the Big 12, dropped Texas from No. 4 to No. 8 and earned the victor, Kansas, a spot in the poll at No. 22. The Jayhawks bested the Longhorns in four sets in Lawrence on Wednesday to stay perfect atop the Big 12 standings. Texas rebounded with a five-set road win over Oklahoma, while Kansas moved to 6-0 in the league with a sweep of Texas Tech on Saturday. In Pac-12 action, Oregon, Washington State and Arizona each dropped top spots in the polls to No. 16, No. 23 and No. 25, while Arizona State fell out of the rankings. Oregon topped Colorado on Wednesday, but fell to Utah in four sets on Sunday. Washington State suffered a 3-0 loss to Stanford and a four-set loss at the hands of Cal. Arizona fell via sweep to UCLA on Wednesday and to USC in four sets on Sunday. Nothing changed at the top of the poll, where BYU, Stanford and Minnesota maintained the top three poll positions. BYU garnered 60 first place votes for the second straight week, while Stanford hauled in four. BYU remains perfect at 18-0, including an 8-0 mark in WCC play. Stanford has won 14 straight including all eight of its Pac-12 matches. Minnesota stands atop the Big Ten at 8-0 and has won its last nine matches en route to a 14-2 overall mark. Four teams mentioned on only one ballot for a total of seven combined points.